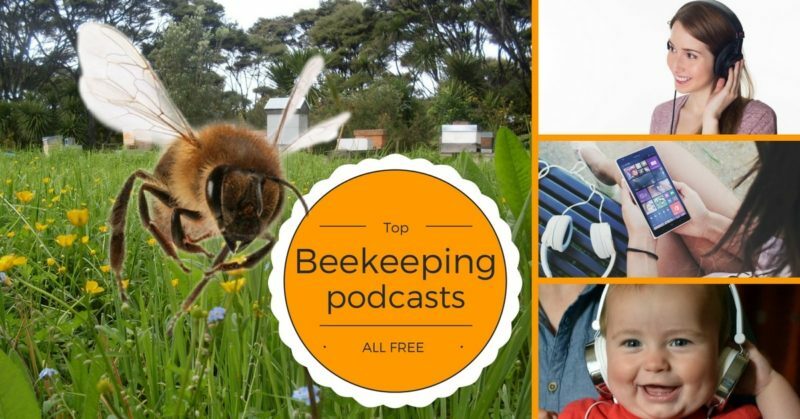 Here is a list of current beekeeping podcasts, we think are useful. 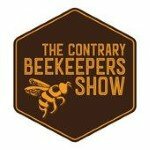 If you know of any new Beekeeping podcasts. Please get in touch and we will add them to the list. 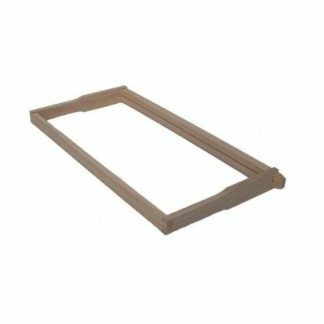 Podcasts are a great way to pass the time when you exercising or building frames. Check them out, I listen to podcasts on my way to work. Nothing like learning while stuck in the Auckland Traffic. Didn't the late Zig Ziglar call that “Automobile University”? These shows all have had new content in the last three months. If you like the podcast be sure to email the owner or leave an iTunes review for them. These are current shows that have released new content in the last three months. This is a great little podcast from Portland in the North America, Mandy presents a fun-loving podcast. She employs sounds effects to tell her story. I love the way she edits her interviews together with commentary #NPR Stylie. 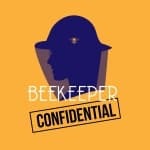 Fully recommend giving ‘Beekeeper Confidential’ a listen if you love beekeeping. In this new podcast from Leigh Knott from Five Apple Farms. 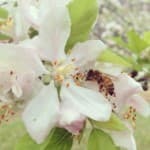 She discusses Sustainable beekeeping, bees, planting trees and shrubs for pollinators at the Five Apple Farm in North Carolina. 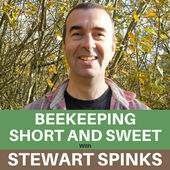 A Podcast by Stewart Spinks from Norfolk Honey in England, the shows are short and concise designed for beekeepers with short attention spans. My only comment would be the content seems pretty much focused on the UK. That seems to be Stewarts focus, but still an enjoyable listen. Fantastic a new show from the people behind Bee Culture Magazine. 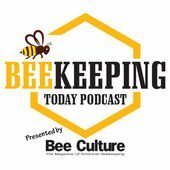 Hosts Jeff Ott and Bee Culture's Editor-in-Chief, Kim Flottum bring you interviews and commentary helping you become a more informed and knowledgeable beekeeper. 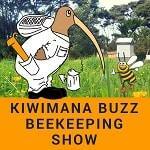 Our beekeeping show recorded in the hills of West Auckland in New Zealand, we talk to beekeepers from around the world. 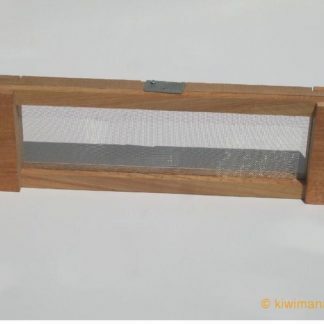 We also discuss Beekeeping news and give tips and tricks about beekeeping. 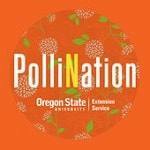 A podcast run by Professor Andony Melathopoulos from the Oregon State University. He interviews researchers, land managers and concerned citizens about Pollinator Heath. Its a great show that doesn't only focused on Honey Bees. 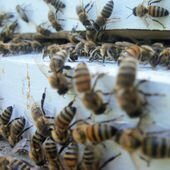 Phil Chandler's podcasts are on many topics, but usually revolve around keeping bees in the most natural way possible. Phil advocates Top Bar Hives, but many of his techniques and practices could be adapted for other types of hives. Phil lives in the Cornwall region of England. A podcast from South London, Beekeeping friends Tracey and Paul chat about bees and their beekeeping experiences. I really enjoy the Beehive Jive, Tracy and Paul make a great team and I enjoy the light approach to the content. May the show continue for many years. One of New Jerseys favourite sons “Kevin Inglin” produces this great Beekeeping podcast. Kevin does a lot research for his shows. So, you will learn lots of great information about recent conferences and bee studies. This show isn’t for the faint of heart, most shows are 1 to 2 hours long. 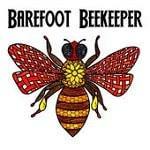 Join Beekeeping friends, Dan, Greg and James chat about the adventures of new Beekeepers in Ohio. The chats are interesting and recorded very well. I find it interesting to hear the learnings and the sharing of information between them all. Keep up the great work guys. Master Beekeeper John Swan and Fisher Guide and New beekeeper Ken Milam discuss how to get started with bees. The beginning episodes are mostly getting started topics, which is great for new beekeepers to go through. So if you are beginner start at episode one. 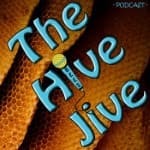 The banter and chemistry between the hosts is great and this show has some great potential, but maybe a name change to avoid confusion with the existing Beehive Jive podcast? 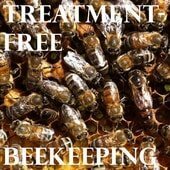 A podcast all about Treatment free beekeeping, the host Solomon Parker also runs the Treatment Free Facebook page. He interviews beekeepers from around the world. 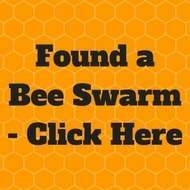 If you interested in treatment free beekeeping check out this podcast. These shows are still available, but haven't released a show in the last three months. Podcasts that are no longer available will be removed from this list. This is podcast brought to you by Lauren and Aaron from Jennings Apiaries in Louisiana in the USA. 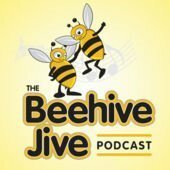 It's a podcast aimed at hobbyist, sideliner and small scale commercial beekeepers interested in bee friendly hive designs and the practical side of the beekeeping business and marketing. Yay another New Zealand Podcast about bees!!! 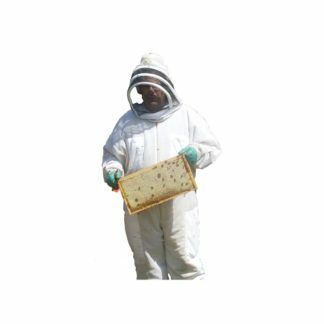 Nelson Bee Keeping tutor Nigel Costley presents a regular jaunt through the world of Bee's and Beekeeping, not just for Beekeepers but for anyone interested in the natural world. Host Tony Sandoval known as Big Bear hosts this show, big changes are planned for this one. So, who knows what format this show will take. But its bound to full of great beekeeping content. 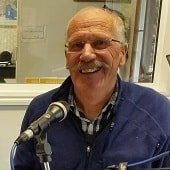 This show is a call-in radio style show hosted by Master Beekeepers David Burns and Jon Zawislak. 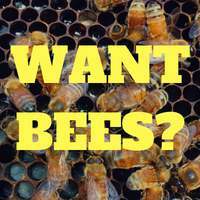 The show is recorded on a sporadic basis and you can call in and ask your Beekeeping Questions. Check out the page for the next show date and time. It’s well worth a listen to hear the pearls of wisdom from these experienced beekeepers. Finally a Canadian podcast about beekeeping. 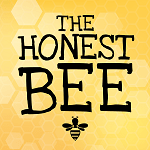 Carolyn Essaunce from the Honest to Goodness Farm Company produces this podcast about her adventures with bees.